"Breathtakingly beautiful and historically meaningful." "The most human and rounded screen depiction of Joseph Smith yet." "Shows Joseph and Emma as you've never seen them before." Step into nineteenth-century New England and experience the story of one of the most influential men in religious history. At only twenty-one years of age, Joseph Smith Jr. received a prophetic revelation that he was to translate ancient scripture into what would be published as the Book of Mormon. But his calling is not without turmoil and sacrifice for both Joseph and his young bride, Emma. The pair must endure rejection and persecution as they labor to know and do the will of the Lord. 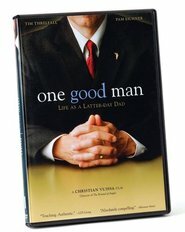 This film is a must-see for Latter-day Saints or anyone who has heard the name of Joseph Smith. Director Christian Vuissa (The Errand of Angels, One Good Man) paints an intimate portrait of a complex man who, in spite of his human frailties, earnestly commits to serve God according to revelation he receives. You will be inspired by this touching true story of faith that chronicles the coming forth of the Book of Mormon—a story in which a rural farm boy is line upon line, precept upon precept, transformed into a prophet of God. We hadn’t heard a lot about this movie and didn’t expect too much, but we were quite impressed. While it obviously wasn’t surpported by a billion-dollar budget, the quality was admirable. The casting was excellent - especially Joseph, Emma, Isaac Hale, Joseph Sr. And others. We learned a great deal and were especially impressed with the historical accuracy. The music, photography, script, production values were also commendable. We found it to be very worthwhile and believable. I would recommend it to both LDS viewers and those who are not as familiar with the story of Joseph Smith and the origins of the Book of Mormon. I would hope that we’ll see Volume 2 in the future. This is another wonderful movie. The acting seemed forced which made it hard to get into. There were also wierd scenes that may have been designed to humanize Joseph but ended up looking kind of silly. For example, the scene that shows Joseph practing talking in the mirror before approaching Isaac Hale. 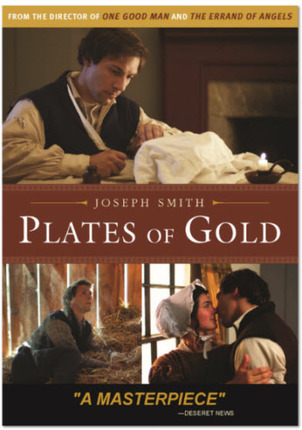 I saw JOSEPH SMITH: PLATES OF GOLD during it brief theatrical run and liked it. I recently purchased a copy in the Blu-ray format (highly recommended) and have come to appreciate the beauty and power of what Christian Vuissa has achieved with his film. The extras in which he explains his approach to telling this sacred story gave me a much deeper appreciation for what he had in mind in using actors closer to the actual ages of Joseph and Emma when these events took place. Few filmmakers have done as much for the advancement of the LDS film making movement than Christian Vuissa. He has given young (and older ones like me) filmmakers an opportunity to screen their works with the annual LDS Film Festival held each year. He is an excellent filmmaker and one whose films I look forward to seeing. The title for this film says that it is Volume One . . . sadly its theatrical failure will likely prevent any follow-ups. This is a film worth purchasing. 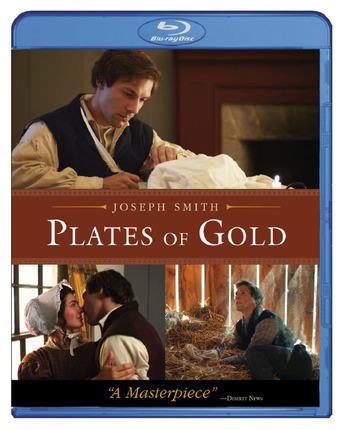 I thought the actor whole portrayed Joseph Smith did a great job showing Joseph's sensitive side. I learned more about the events surrounding Joseph's relationship with Emma and her parents. Loved the story and hope to see another volume soon. The eyes of the world, yet to turn. 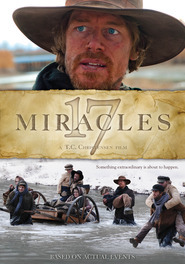 A beautiful film indeed, shot and made as only awarding winning Latter-day Saints no how. However, one day, an uncommon place film, one that the non-member world will be able to watch and be disarmed by it and not see it as yet another missionary-work-type of film and critics who are not associated with the Church will praise it and bring it to attention. Then, and only then, as Spencer W. Kimball mentioned, in his sweeping statement about art displaying the gospel, will it aid in turning the eyes of the world turn to the Church as mentioned in the scriptures. We have become all to expert at entertaining ourselves. LDS cinema is a safe, growing haven. Still, another beautiful telling of the beloved foundation of our history. Nice. This is one of the most real and humanizing portrayals of young Joseph Smith on film. The plate translation process was depicted in great detail that I'd not seen before. Very real human emotion displayed. Just a small taste of what the Smith's went through in the cause of truth. Definitely worth seeing! David from Utah: Brother! I wonder where you got your information about the prophet not using the plates while translating them. We should be cautious about putting out incorrect information. But wow, it really is a good film. I would also disagree about the awarding of stars; instead of three I would give a an illustrious five! God bless you, though, brother! It was wonderful to watch this film with my children and to get to know Joseph Smith more personally. I was very impressed with the sensitive manner with which the individual characters were portrayed. 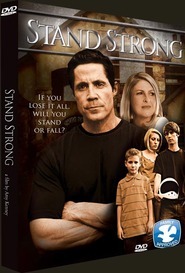 The movie strenghtened my testimony of the importance of revelation and of faith in the Lord no matter what happens. I really enjoyed this film and am impressed how historic facts are incorporated in the film. It allowed me to go back in time and to better understand what Joseph Smith went through. Now the Book of Mormon has an even greater meaning to me than before. The acting was TERRIBLE enough for a POOR ROAD SHOW. The attempt at portraying many of the stories surrounding the translation of the Book of Mormon was okay but still leaning towards POOR. I wouldn't show this to any investigator as to not want to confuse them with the different translation methods etc. DO NOT BUY THIS MOVIE, rent it or even better borrow it from someone as to not waste you money. I almost wondered if this was the same movie when I read the bad reviews. I thought the acting very real, the scenery beautiful, and the storyline worth sharing. I would buy and watch again and again. Loved it and the spirit it brought to me. Knowing productions like this are necessarily made with a low budget in most cases, given the limited audience, I bought this with some trepidation. My family could tell you that I'm a pretty picky movie critic, even when a film depicts subjects I care a lot about. While this production won't measure up to films that cost much more money to make, I was very pleasantly surprised. 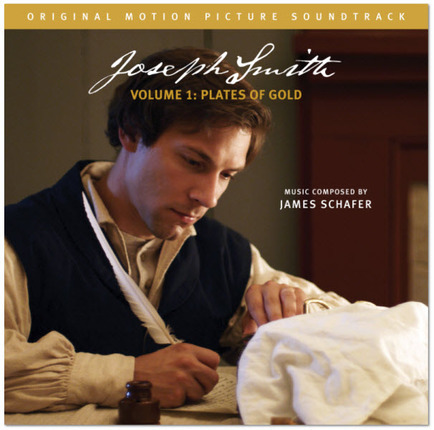 Our family just finished watching Joseph Smith: Plates of Gold, a feature length film about Joseph's experience of preparing to receive the plates, getting them, hiding them, translating them and printing the Book of Mormon. It focuses a lot on his relationship with Emma too. The actor playing Joseph is the same that played him a few years ago in the video the Church made about his first vision called The Restoration (so now he's appropriately a bit older). It's very well made and even held my teenagers' attention. 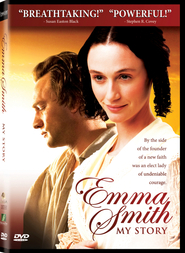 It's perhaps not quite as excellent as The Work and the Glory series of movies, but better in my opinion than Emma: My Story and even the movie by the Church called Joseph Smith: Prophet of the Restoration. The big advantage it has over all these is that it's extremely accurate historically. Pretty much all the story elements, even minor things, are documented history, but it usually feels more like an engaging story than dry history. It feels perhaps a bit like a good Masterpiece Theater or BBC drama, except that perhaps the actors aren't quite as accomplished, but they're better than average and are quite adequate. I like the actor that played Joseph in The Work and the Glory best of all, but this actor is a close second, better in my opinion than the actor in Joseph Smith: Prophet of the Restoration. He comes off as a real person, young and a bit rough around the edges, very emotional at times, all true to the Joseph we know from history. The cinematography is terrific. For someone with no knowledge of Joseph Smith or Mormonism, this movie provides a very good visual summary of the early events. My teens were asking lots of questions about Joseph's experiences that they never knew about before. One thing I really appreciated was that the characters, at least all the major ones, felt like real people in real situations (even my kids remarked about that), unlike many of these re-creations of church history. Many scenes of this movie would be good for use in the classroom. The movie indicates it's part one of an anticipated series, so I encourage you to buy it and support these filmmakers so they might continue their work. 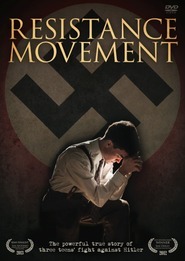 This movie was wonderful, captivating, educational and inspiring with quality actors and actresses. We learned things that we hadn't known before and it increased our testimonies. It's well established history that Joseph didn't look at the plates for much of the translation. He used them mostly in the early phases. So the reviewer who says this movie is inaccurate because it shows Joseph translating without looking at the plates simply isn't familiar with the real story. If God was telling him what the book said all along, then it really didn't matter if he was looking at the plates the whole time. The plates were indecipherable. It was the Spirit that gave him the words, not the plates. Well worth your time and money! I wish I was on Mr. Rapiers gift giving list, as my family and I loved this movie! I am a church history buff, and there were a number of things shown in the movie that were more true to the coming forth of the Book of Mormon than we have seen before. I liked seeing a youthful Joseph and Emma- it made us appreciate how young they really were when they received this stewardship. I thought the acting was excellent and sincere, and we were touched; particularly when Emma gave birth and they lost this child. It is well worth your time and money... see for yourself! I love this movie I found myself laughing, crying, and laughing and crying at the same time. It was really well made and I feel it really shows that Joseph, Emma, and the rest, were real people, made mistakes, and this movie seemed to capture the raw emotions they certainly had. I would highly recommend this movie to watch and also to give as gifts. Great storyline and beautifully shot as all Christian Vuissa films are. I really appreciated how Joseph Smith was portrayed as a person with temptations and weaknesses just like the rest of us. Very well done.